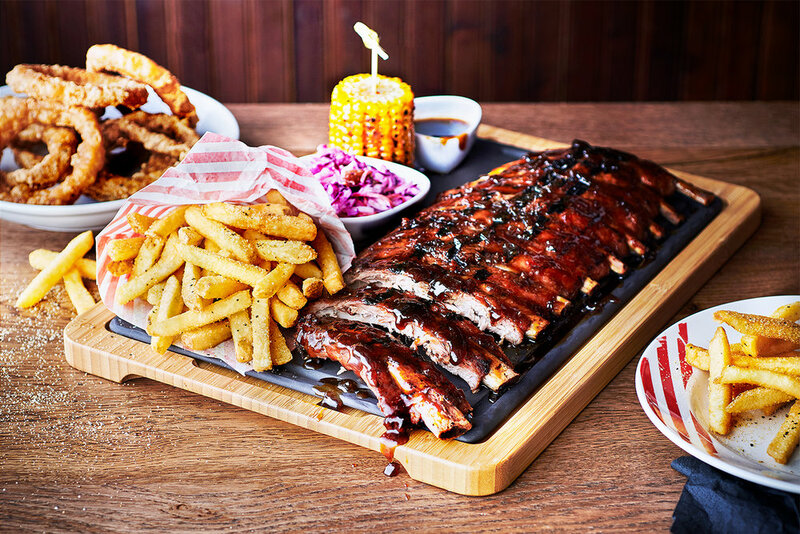 A few months ago the fabulous Food Stylist Elaine Ngan and our team travelled to Sunny Watford to shoot the brand new TGI Fridays menu and images for their website, digital campaigns and on site billboards and promotions. We had to shoot the images in a small section of the restaurant and make sure the images worked for multiple crops which is always a challenge, but I think we got some beautiful images. TGI's blew me away with it's popularity, shooting in restaurant we saw that it was queued outside on Monday lunchtime and even had guests return the same day. I love a bit of shoot trivia too and was stunned to discover that TGI's claim to have invented Happy Hour in New York in the 1960s. I was recently commissioned by Lurpak to create four brand new recipe films for digital content. We shot for both landscape and portrait outputs making the most of a Mobile First approach. To do this we used a split screen technique that allowed more beautiful food moments to feature on screen at once. Production by the fantastic team at Food Hall, food by queen of Lurpak Katie Giovanni. 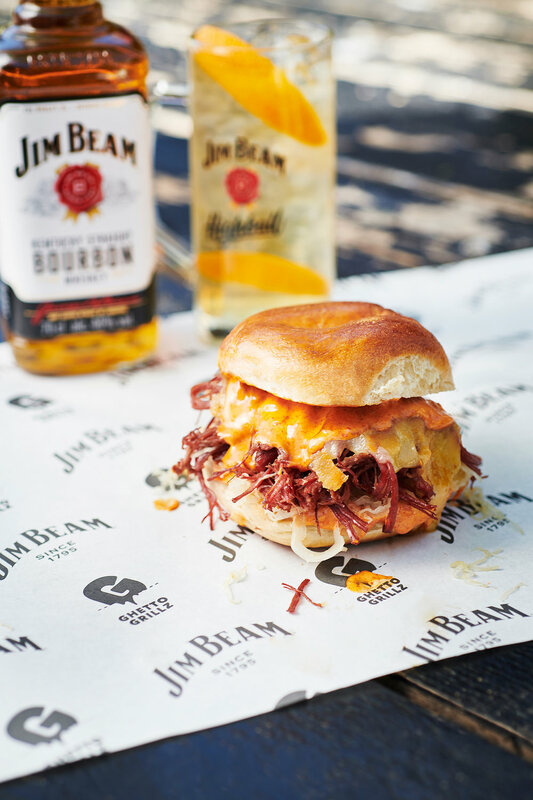 A couple of months back the booze pros at White Label commissioned me to shoot a little street food selection for Jim Beam. Jim is throwing a series of Garden Parties around the country through the summer and along with his own high ball serves, the guys at Ghetto Grillz are serving up some Salt Beef bagels to blow your mind! For years Just Eat has used only stock imagery and in an attempt to tighten up their branding and create a photographic guide they commissioned me to create this initial set of three images for use across their website. Shooting so they can work on all devices so shooting for portrait, landscape, wide banners and square is always a challenge but I think they look great.